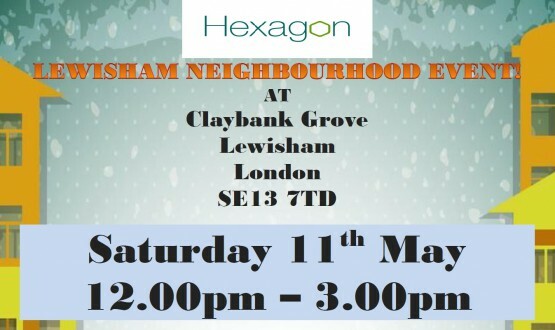 Hexagon borrows from banks and other financial institutions to fund the building of new homes and improvements to existing homes. 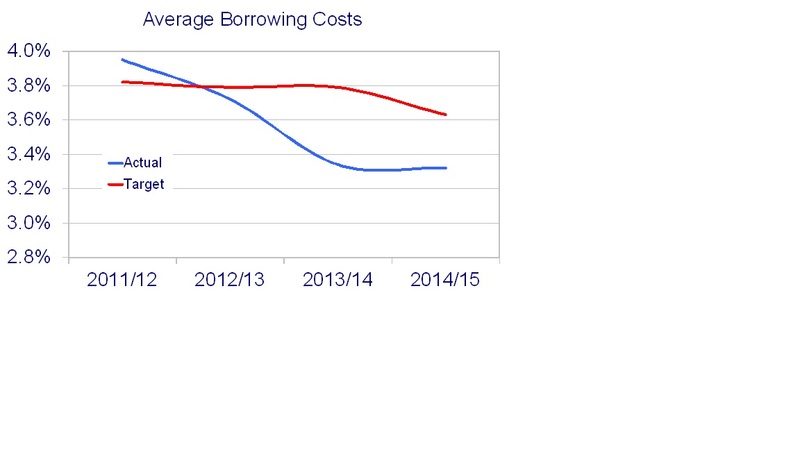 As of March 2016, total borrowings were £152m, mainly on loans that need to be paid back gradually over the next 30 years. Interest charges on these loans form around 20% of Hexagon’s costs, so it is important that we manage these rates carefully. The Board aims to strike a balance between taking advantage of the best interest rates on offer without exposing the Association to large increases in costs when the official bank rate starts to rise. Hexagon uses average cost of funds to determine whether our interest rate management represents value for money. How are we Doing against our Value for Money Targets? The target was achieved in each of the years between 2012/13 and 2015/16. 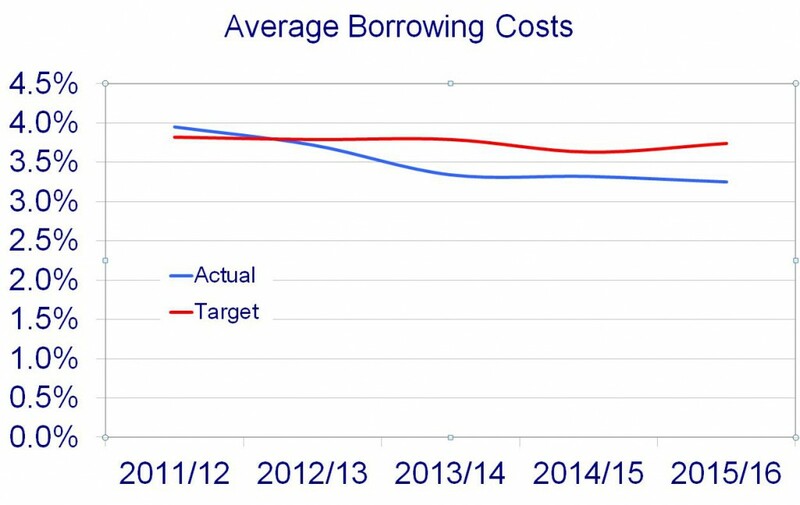 The target was missed in 2011/12 because we borrowed less than was intended, so there was a net saving in interest costs even though the average cost of funds was higher than the target. 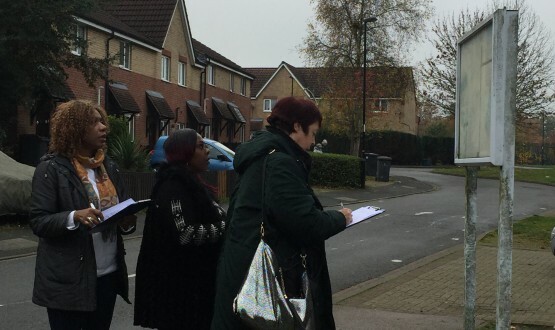 How are we Doing Compared to other Housing Associations? 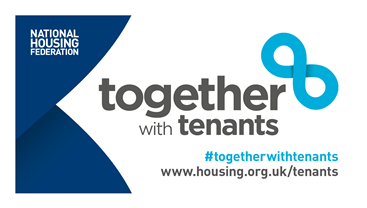 Benchmarking data from HouseMark for 2014/15 shows that Hexagon’s borrowing costs were in the second best of housing associations in London and in the top 10% nationally, we do not expect this to be different when our 2015/16 data is published.